There are many physical commodities, and several that have been used as money including: wheat, because everyone needs to eat; salt, because it does not perish; and cattle, because they move on their own legs. But as the market evolved, it selected gold. Why? Gold is non- perishable. Even salt must be kept dry, a requirement also of iron and most metals. 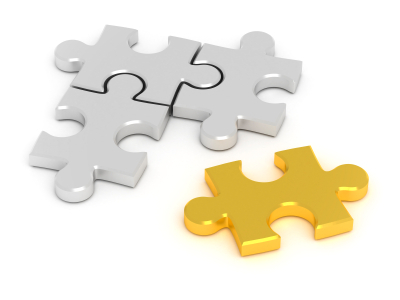 Gold is divisible to the smallest piece and each piece is equivalent to any other piece of the same mass. Pieces can be recombined together by melting them. Think of gemstones. No two are alike, and if one needs a smaller denomination, one could conceivably cut a stone but over time the money supply would be reduced to sand. Only a metal has these two properties. Gold has a very high value per ounce (gram) or per cubic inch (milliliter); a lot of value is stored in something that is both light and compact. Few metals have a value density anywhere near gold. For example, one would need about 60 ounces of silver today to hold the same value as one ounce of gold. An ounce of silver is twice as bulky. $1300 worth of gold is about the size of a silver dollar; you could easily tuck it into a corner of your wallet. The same amount of silver would weigh almost four pounds and be just big enough to be uncomfortable in your pocket. Finally, gold is expensive to pull out of the ground but not that rare. By definition, if something is unobtainable by the majority of people then it cannot be money but only a curiosity or a collectible for the wealthy. For these reasons (and others), gold has been selected as money. People have been accumulating it for thousands of years.